After drawing Robert Downey Jr as Tony Stark, I decided to try tackling a lightsaber-wielding Jedi for the first time. I’ve wanted to do a Star Wars hybrid like this and I enjoyed Ewan McGregor’s Obi-Wan in the prequels, for the most part. This was pretty fun and challenging. 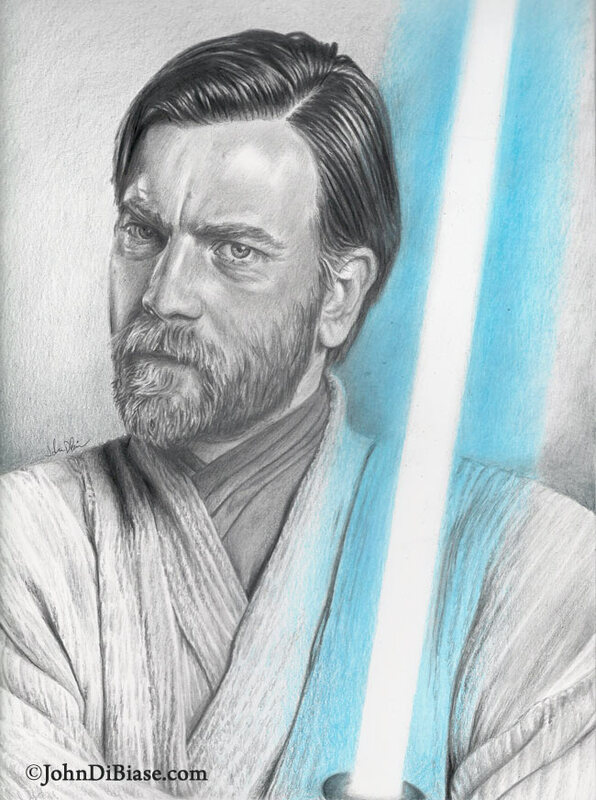 All of the blue light is colored pencil, as is some of the gray handle at the bottom and I’d lightly laid out the robe behind the blue in gray colored pencil. Then I laid it in with regular pencil. So everything else is done in various shades of graphite.